Referring to Finance Minister Arun Jaitley’s remark on Opposition’s impeachment notice, Surjewala said that the “revenge petition” has now become “rescue order”. Criticising Vice President Venkaiah Naidu’s order of rejecting the impeachment notice against the Chief justice of India (CJI) Dipak Misra, the Congress on Monday said that the former “has no mandate to decide the merits of the motion”. “Constitutional process of impeachment is set in motion with 50 MP’s giving the motion. RS Chairman can’t adjudge the motion, for he has no mandate to decide the merits of the motion. This is truly a fight between forces ‘rejecting democracy’ and voices ‘rescuing democracy’,” tweeted Congress spokesperson Randeep Surjewala. In a major setback for the Congress-led Opposition, Naidu on Monday rejected the impeachment motion against the Chief Justice of India (CJI) Dipak Misra, asserting that the charges mentioned in the notice “have virtually no concrete verifiable imputation”. “Within hours of 64 MPs submitting the impeachment motion, Leader of Rajya Sabha(FM) had expressed naked prejudice by calling it a ‘revenge petition’ virtually dictating the verdict to Rajya Sabha Chairman on that day. Has ‘Revenge Petition’ now become ‘Rescue Order’?” tweeted Surjewala. “RS Chairman can’t decide on merits in absence of quasi judicial or administrative power (M.Krishna Swami’s case). If all charges were to be proved before inquiry as RS Chairman suggests, Constitution & Judges (Inquiry) Act will have no relevance. Don’t muzzle Constitution,” he added. Congress leader Abhishek Manu Singhvi also slammed the order saying, “Expectedly, Mr Naidu rejected impeachment motion. Unexpectedly, he did so within one day of returning from outstation. Hopefully, the alacrity was not intended to render infructuous calls for CJI to stop administrative work”. Congress leader Panna Lal Punia said that they didn’t know on what grounds the petition was rejected, adding that the party will take the next step after consulting with legal experts. “This is a really important matter. We don't know what was the reason for the rejection. Congress and other opposition parties will talk to some legal experts, and take the next step,” he said. The rejection of the notice comes a day after he held the consultations with such experts to determine the maintainability of the motion. Naidu said in an order today that he had detailed personal conversation on all the aspects arising from the notice and had considered each of the allegations made in it individually as well as collectively. "Based on all this, I have come to the conclusion that this motion does not deserve to be admitted...On careful analysis and reflection, I find there is virtually no concrete verifiable imputation. "We cannot allow any of our pillars of governance to be weakened by any thought, word or action," he said. The Rajya Sabha chairman said that after having perused annexures to the motion, detailed consultations and studied opinions of constitutional experts, he was "satisfied that admission of this Notice of Motion is neither desirable nor proper". 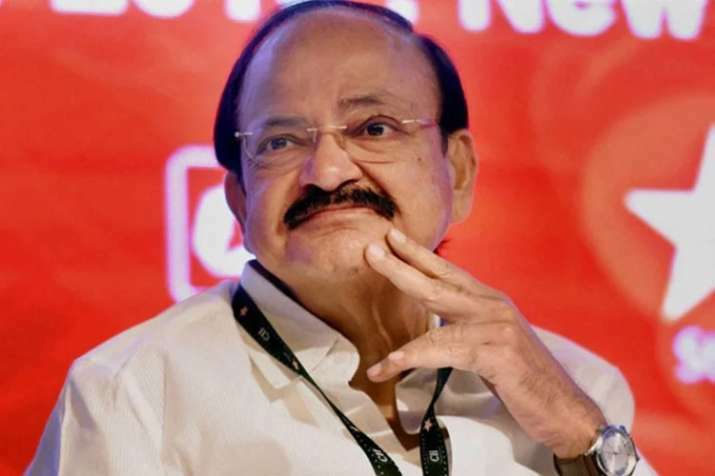 "In passing, I am constrained to observe that in this matter, the well established parliamentary customs and conventions as have been delineated in para 2.2 of the Handbook for Members of Rajya Sabha have been disregarded," Naidu said. "I have considered the material contained in the Notice of Motion and reflected upon the inputs received in my interaction with legal luminaries and constitutional experts, I am of the firm opinion that the Notice of Motion does not deserve to be admitted. I refuse to admit the Notice of Motion," he said. Yesterday, Congress leaders had said that the party is considering moving the Supreme Court, if the motion is rejected. While reviewing the notice, Rajya Sabha officials had mentioned that making public the contents of a notice before it is admitted by the Chair, is in violation of parliamentary rules, informed sources said. The Congress had on Sunday appealed that the Chief Justice should himself consider recusal from judicial administrative work. It said the decision should come "voluntarily" following notice for his removal. The impeachment notice was given by Congress and six other opposition parties on Friday for the removal of Chief Justice Misra on five grounds of "misbehaviour". The motion was signed by 71 parliamentarians out of which seven members had retired before the motion was submitted to Naidu.